This course will introduce you to processes and equipment for preliminary treatment of wastewater. You will be introduced to descriptions, functions and design considerations for bar screens, comminuting devices, grit chambers, proportional weirs, Parshall and Venturi flumes, dissolved air flotation systems, and flocculation methods. 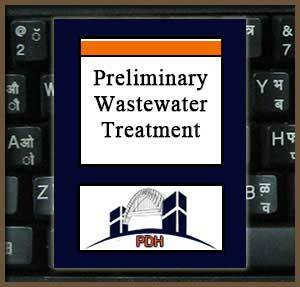 You will learn how the preliminary treatment process works together with the primary, secondary, tertiary and sludge handling processes to form a complete wastewater treatment plant. Learn the characteristics and design basis for bar screens. Learn parameters for sizing screen channels. Learn how to select and size screening bars. Learn the function and basis of design of comminuting device installations. Learn the fundamentals of grit chambers. Learn about horizontal-flow grit chambers. Learn how proportional weirs, Parshall flumes and Venturi flumes are incorporated into grit chambers. Learn about dissolved air flotation. Learn methods and design factors for wastewater flocculation. Learn how to calculate power requirements for flocculation units.